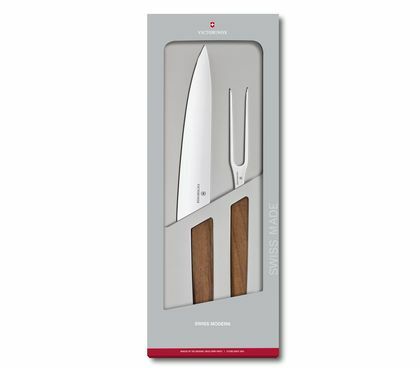 The pride and joy of every chef is their collection of knives. 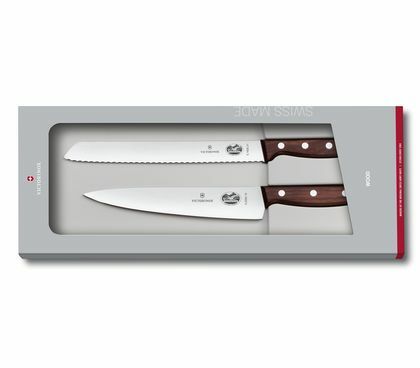 So when it's time to upgrade to high performance cutlery, Victorinox has everything for a chef like you. 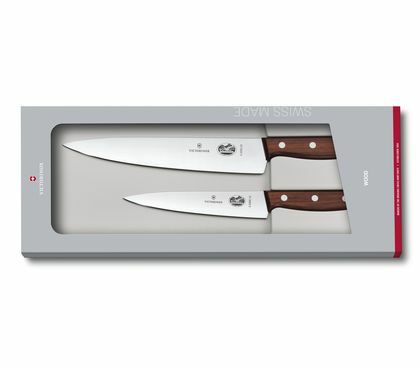 Our kitchen and table knives are high-quality and low-maintenance, featuring the best materials and timeless design. 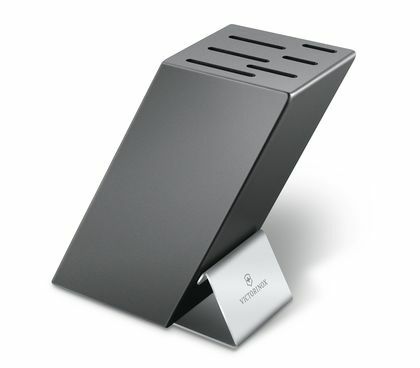 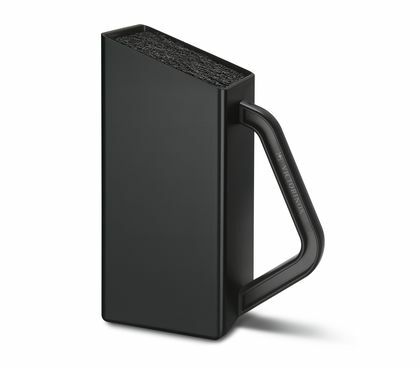 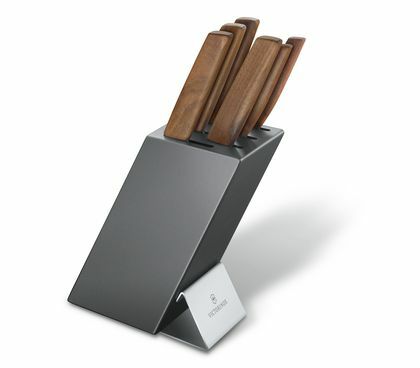 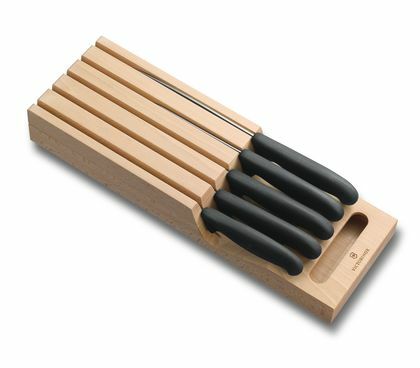 And our knife blocks are the perfect way to store them safely while keeping them within reach. 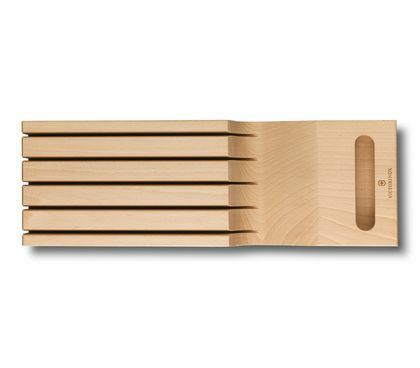 How do you keep an overview in the kitchen and optimize the selection of equipment? 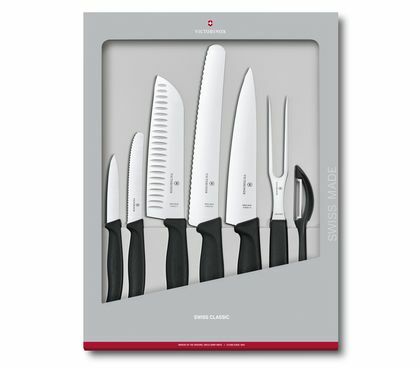 A good idea is to find out which utensils are required for a solid basic equipment while trusting experienced experts for hints and tips. 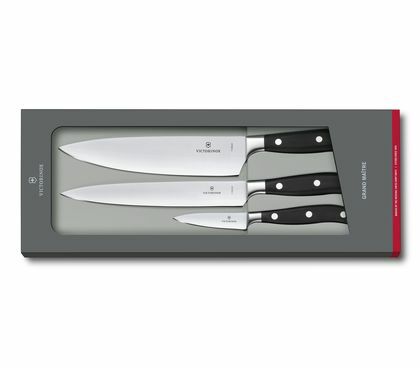 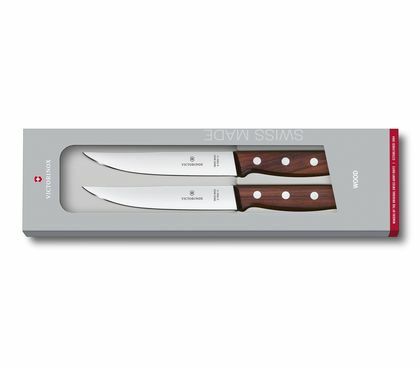 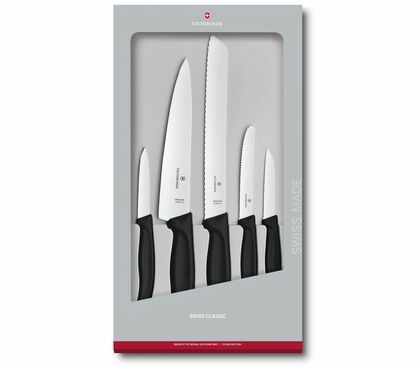 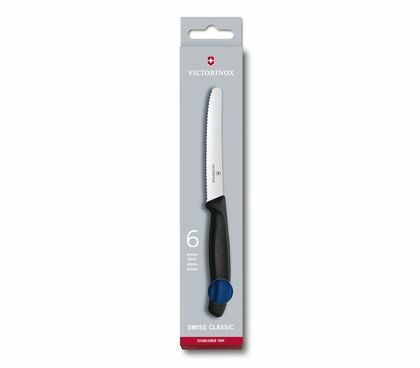 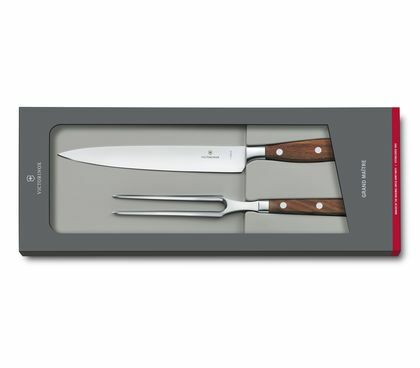 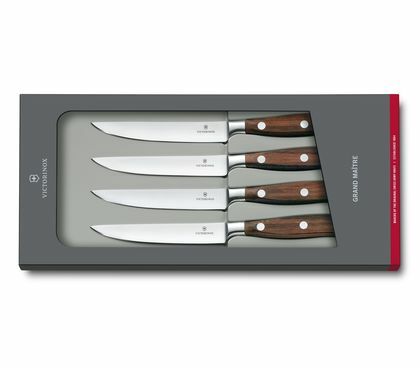 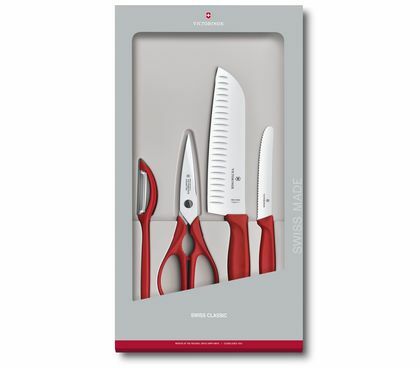 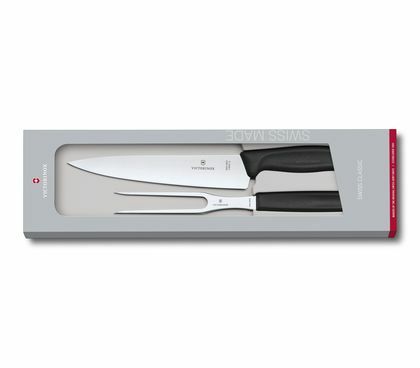 With a knife set or a knife block by Victorinox, you are always well-advised and perfectly equipped. 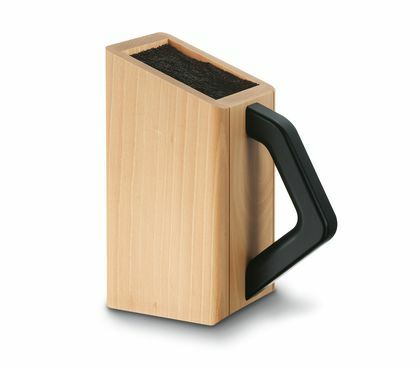 We are happy to tell you why. 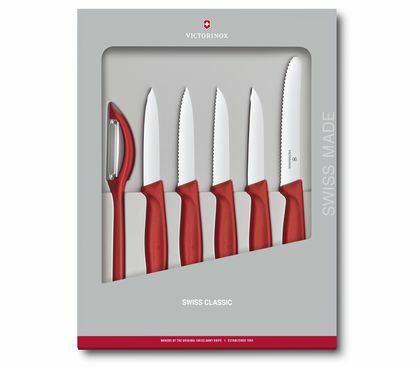 Solid basic equipment: With an intelligently compiled knife set, you are ready for all tasks at the stove and the kitchen counter and well-positioned for anything kitchen. 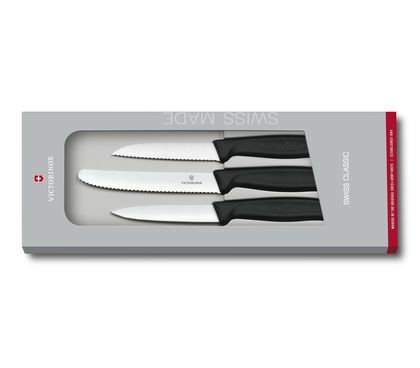 You have all important kitchen helpers right by your side and a selected combination available at the grab of your hand. 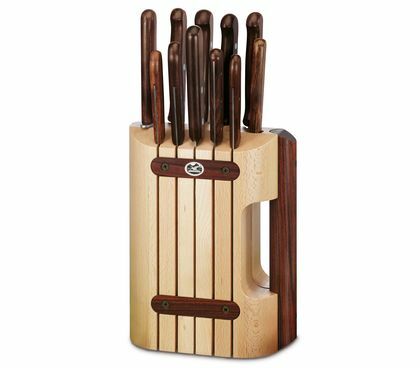 Clear arrangement: A compact knife block ensures an organized and appropriate storage. 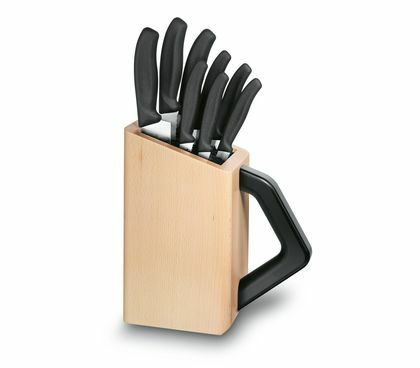 It protects the knives from the dust and abrasion created in unorganized drawer messes when rubbing against other utensils. 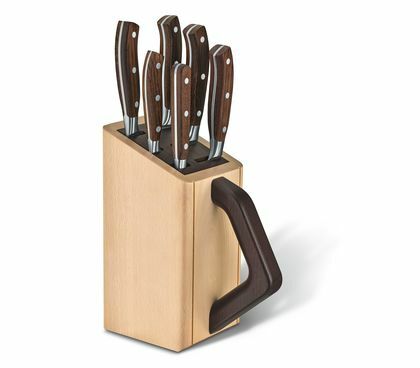 Everything has its safe place and the knives are always at hand and ready for use. 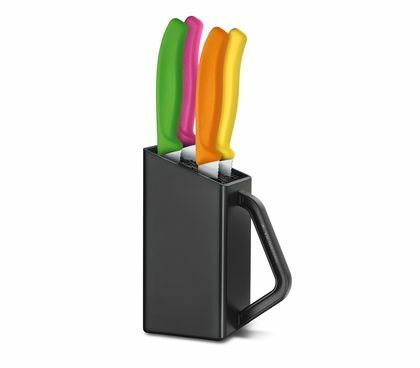 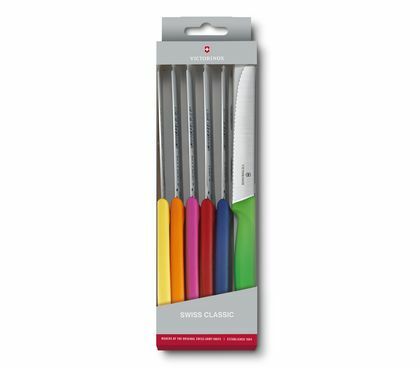 Easy distinction: Colorful handles bring color into the kitchen and give each knife its own identity. 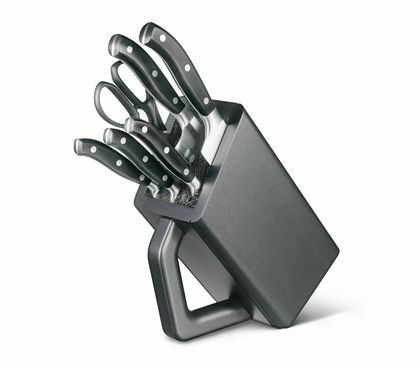 Soon you will be able to know at one glance what you need and will pull the right helper out of the knife block in next to no time. 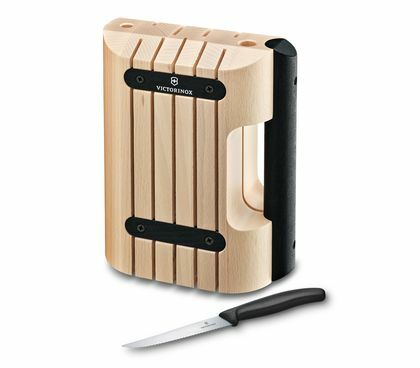 Attractive eye catcher: High-quality materials, best workmanship and excellent design make every Victorinox knife block a timelessly beautiful object. 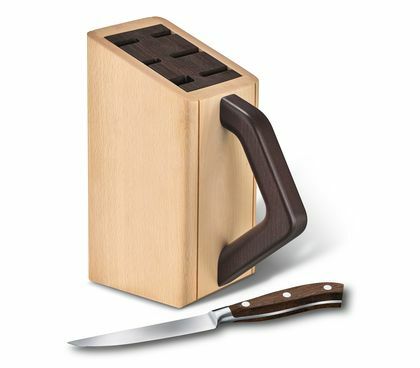 Visually and functionally enhancing every kitchen.